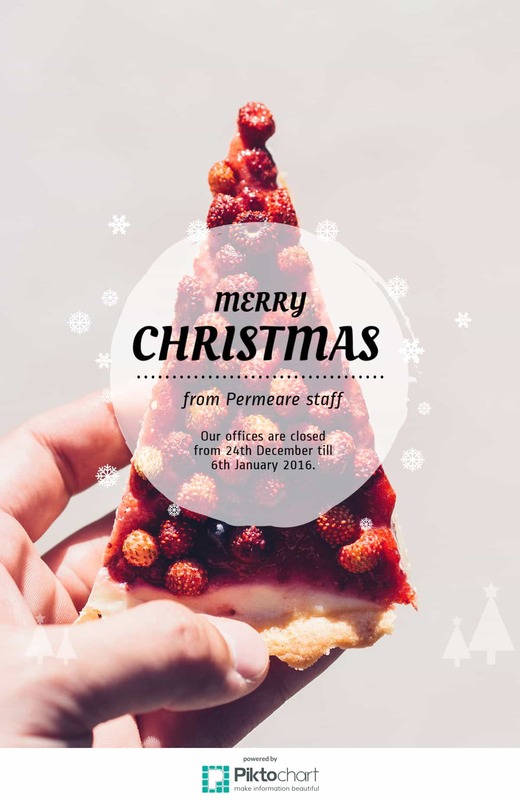 Also this year we have reached the Christmas holidays and it’s a bit like sum up the year just passed: Permeare has achieved great goals, including the new communication, the new website, the launch of a new product, Permastone, for dregs filtration. So many beautiful achievements and we will wait for 2016. To all of you who have followed us, we renew our whishes for Happy Holidays and Happy 2016! Previous Post Video: Permeare at SIMEI booth 2015 Next Post Vinitaly 2016: we celebrate the 50th!